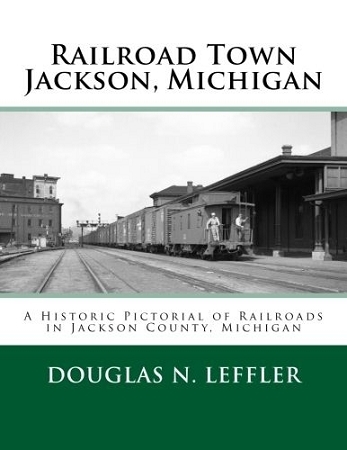 Railroad Town Jackson, Michigan is a pictorial history of the railroads in Jackson County, Michigan, beginning with the arrival of the first train in the City of Jackson in December 1841 right up to the present. It contains an excellent history of the railroads found in this important railroad city and has numerous photos of NYCS action. It includes a few pages on the Penn Central, Grand Trunk Western, Amtrak, Conrail and Norfolk Southern, but the majority of the book has great information and photos of the NYCS. This is a great book anyone interested in the NYCS in the midwest. MSRP $ 15.00 NYCSHS members price $13.00. Shipping extra and Ohio residents pay 8% Ohio Sales Tax.